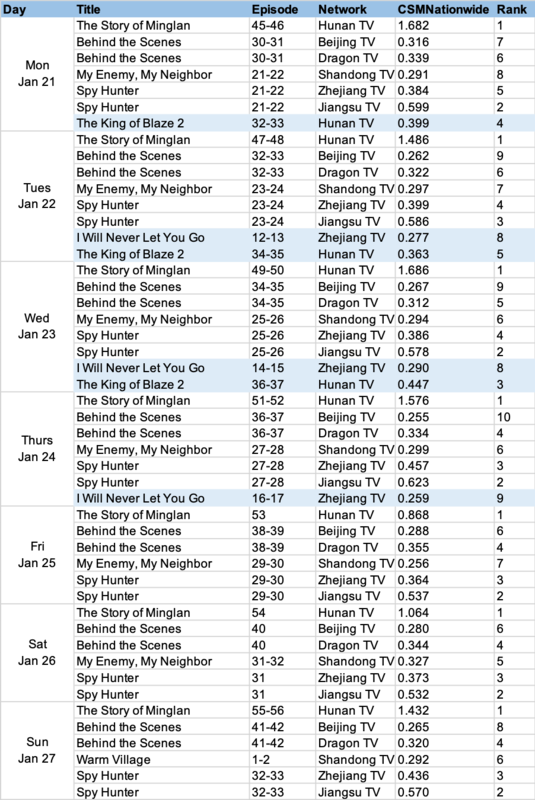 The Story of Minglan hits another high this week as it reaches CSM52 ratings of 1.8%. If my memory serves me right, it's been a long time since a drama has come this close to 2%! It's also been a while to see more than one show above 1% and we've got two more this week as Behind the Scenes reaches 1.1% and Spy Hunter reaches 1.0%. Minglan and Spy Hunter are also first and third in the weekly top 10 though it's odd that Behind the Scenes didn't make the cut. The final week ratings for The King of Blaze 2 averages at 0.8% though the show is also missing from the top 10. I Will Never Let You Go continues to do well online as it ranks in second place. Candle in the Tomb: The Wrath of Time, Legend of Hao Lan and Exclusive Memory are the newly-airing web dramas on the list. 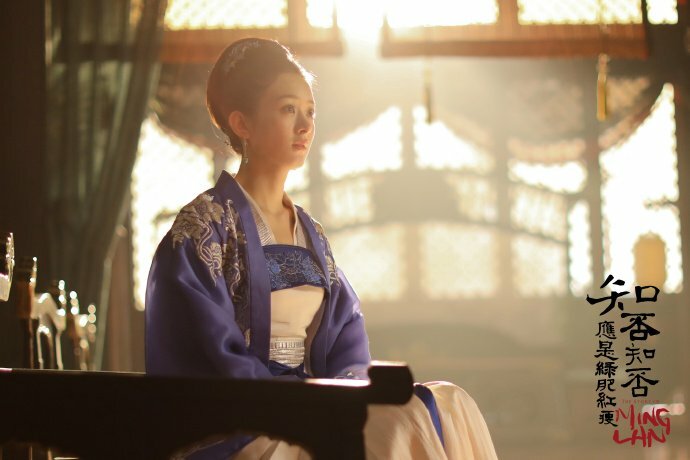 The Story of Minglan also leads nationwide with ratings above 1%. *The above are mostly primetime shows that air at 19:30 while those highlighted in blue air at 22:00. **Rankings are overall rankings across the shows airing on the same night, regardless of air time. *** Reruns are not included. **** Dramas that air on CCTV (the state television broadcaster in China) are not included. ***** CSM55Cities and CSMNationwide are common tv metrics. I Will Never Love You is a nice entertaining drama, hoping for more hype and success.